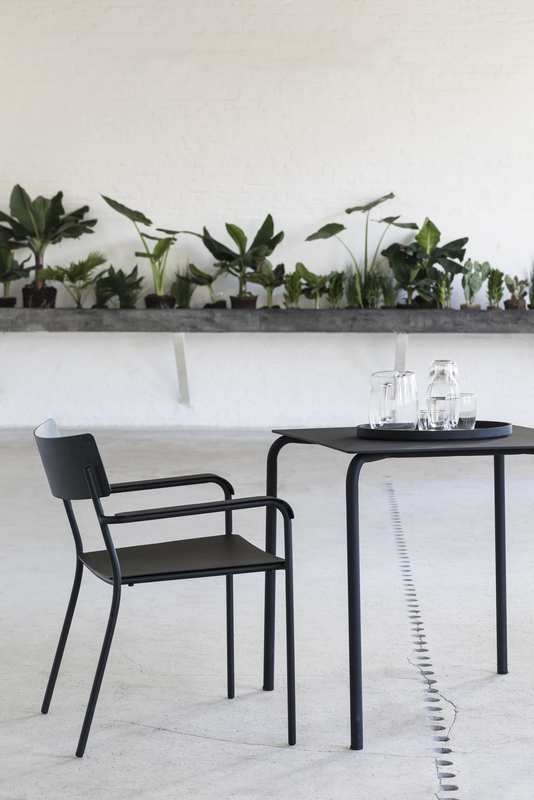 The chairs 'August' from the Outdoor collection of Vincent Van Duysen for Serax assume the archetypal shapes of the monastery they were inspired by. Stripped down to the essence, but with contemporary proportions. The slightly wider seat and backrest ensure optimum comfort. 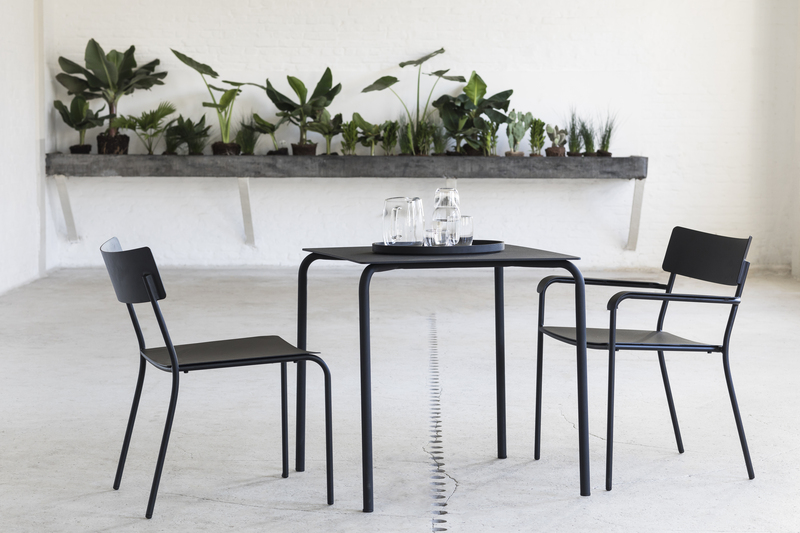 The black or grey-green powder-coated aluminium is weatherproof, allowing the chairs to be used both indoors and outdoors.